A basic VideoEye systems provides an amazing visual tool to assist with macular degeneration. Both the Millennium and Standard VideoEye models are self-focusing and give a clear color image. You adjust the magnification intuitively by raising or lowering the viewing head. These models feature the patented innovative VideoEye articulating arm that gives stable support for the camera. 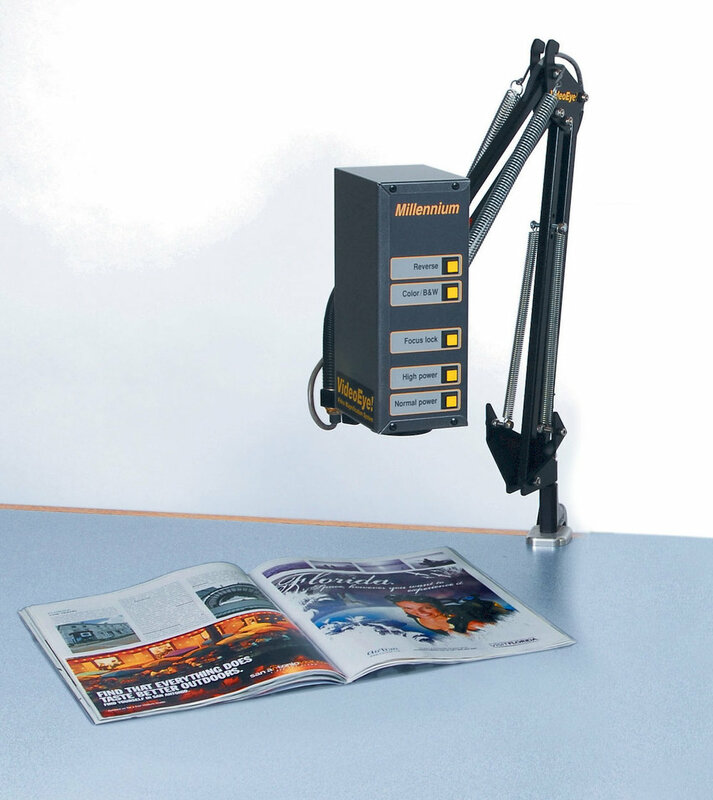 The viewing head floats over your work surface supported by a machined base that clamps to the ledge of a desk or other work surface. The Millennium is a great basic system. It features two power ranges and the reverse video feature that changes black print to white letters on a black background. 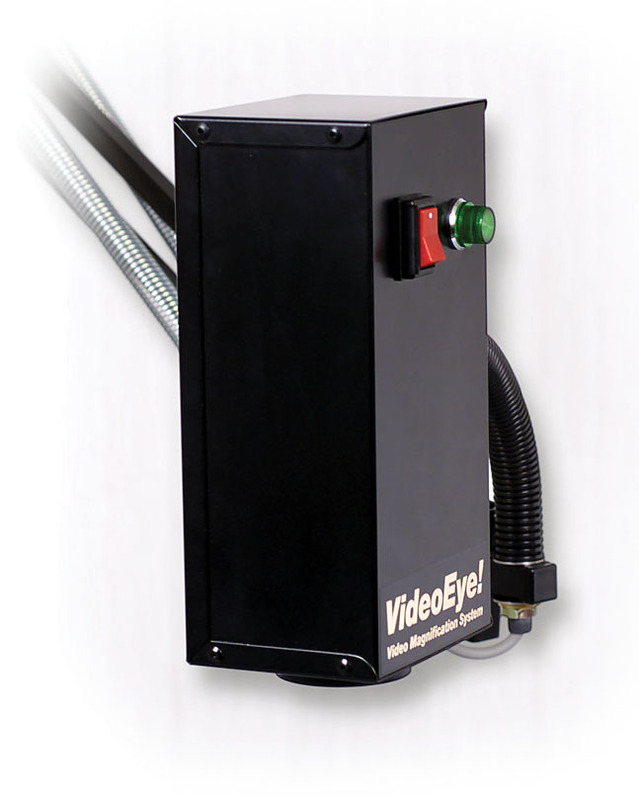 The Standard VideoEye offers excellent basic magnification. It is easy to use - there are no controls. Just switch it on and autofocus delivers a clear magnified image. With a 32" screen, it magnifies up to 25x power.